Judean wilderness east of Jerusalem toward Jordan. Note: The path that sweeps across the illustration is an infamous trail. This may be the route that the people of Judea will take while fleeing into the mountains (Mark 13:14). Kept in a secret place! It is very popular these days to say that the Psalm 83 war will happen soon. Well it will happen pretty soon, but not before the Rapture of the Church, and not before the Great Tribulation of Israel. It will happen during Jerusalem’s Great Tribulation. Psalm 83 is short and simple. The key to understanding it is to recognize who “thy hidden ones” are in verse 3. “Thy hidden one” are the Jews from Judea (region south of Jerusalem) who have fled into the wilderness during the second half of the Tribulation period. The wilderness is the mountainous region of Judea and Jordan east of Jerusalem. The Jews escaping Judea will take refuge in Jordan for three and one half years. At the end of that time Israel’s enemies will try to kill them. Psalm 83 is a request for God’s help. It represents the Judean refugee’s call for defense at the end of the Tribulation period. 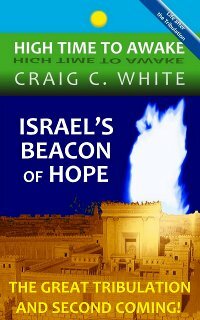 Jesus Christ will personally come through Jordan defeating Israel’s enemies (read Revelation Wrath Path). In the verse below, Edom and Bozrah are in todays Jordan. In Isaiah 16 below, God allows the Jews escaping Judah to take refuge in Moab which is in today’s Jordan east of the Dead Sea. This verse is applied to the time just before Jesus Christ takes his place on his throne in Jerusalem. Isa 16:3-5 Take counsel, execute judgment; make thy shadow as the night in the midst of the noonday; hide the outcasts; bewray not him that wandereth. 4 Let mine outcasts dwell with thee, Moab; be thou a covert to them from the face of the spoiler: for the extortioner is at an end, the spoiler ceaseth, the oppressors are consumed out of the land. 5 And in mercy shall the throne be established: and he shall sit upon it in truth in the tabernacle of David, judging, and seeking judgment, and hasting righteousness. Psalm 83 has four sections; God, be not still, Counsel Council, List of enemies, and Do unto others as you have done unto them before! Isaiah 63:1 makes me think of habakkuk 3 , where god comes from mt paran…just north of the edomites…where the 7 pillars of wisdom mountain happens to be and also the intersection of the continents. Makes me believe it is the 7 hills of Saudi Arabia/mystery Babylon and question where Jesus will return …could it be from the East as described in multiple text?